Leading scientific instruments, automation, software and accessories serving research, engineering, analytical and industrial applications. From the leading edge of research, untangling the most complex scientific questions, to industry, where workflow, efficiency and uptime are the standard, Thermo Scientific instruments and automation systems provide the answers that allow you to advance your work and achieve success. 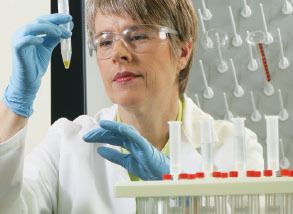 We collaborate constantly with clients in scientific and engineering disciplines to ensure that our substantial R&D investments deliver the innovative performance you need to achieve bold progress.